The friendliness of the Irish has long been recognised, and is often cited as one of the reasons why Condé Nast Traveler list of top 10 hotels in Europe 2016 growing number of visitors are attracted our shores every year. The Irish charm can only get us so far however, and thankfully we can back it up with a hospitality industry that is second to none. Our excellence in this area has been recognised in the , with three Irish hotels making the prestigious list. All the more impressive is the fact the title of Best Hotel in Europe has been awarded to the 18th-century Ballyfin Demesne, at the foot of the Slieve Bloom Mountains, County Laois. The hotel which has previously been declared ‘Grandest Hotel in Ireland’ by the same publication, underwent eight years of restoration and re-opened in May 2011 as a 5-star country house hotel. With only twenty rooms for the 614 acre estate, this 5-star luxury hotel is the perfect place for a break from the stresses of the modern world and provides discretion and privacy like few other destinations. 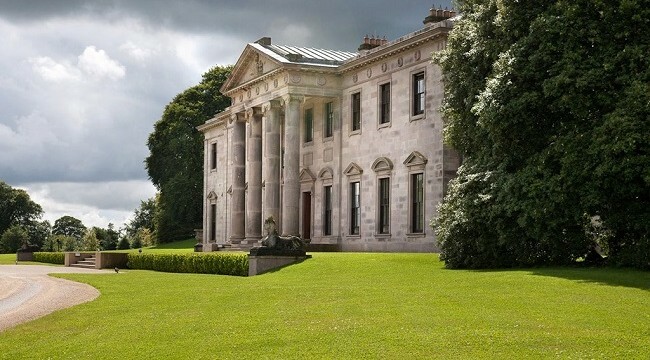 Commenting on why Ballyfin Demesne scooped the number one spot, Condé Nast said: “If you’ve ever dreamed of summering at a country house, you couldn’t do much better than this stately, 20-room Georgian home, about an hour and a half north of Dublin. Beyond the regal four-poster canopy beds, gilded mirrors, and richly textured wallpapers, there are 614 acres of secluded private gardens begging to be strolled. But the real highlight? Having a butler row you out on the lake before enjoying a sumptuous lunch at the picnic house”. This is not the first time the a global lens has been directed at Ballyfin Demesne, in 2014 the hotel made headlines after high profile couple Kim Kardashian and Kanye West chose to spend their honeymoon in at the five-star country home, shunning popular exotic holiday destinations such as the Seychelles and Maldives. The other two hotels to enter the influential top ten list were Waterford Castle, at number 7, and The Lodge at Ashford Castle in Mayo, at number 9; a ranking no doubt helped by the $75 million makeover it received in 2015. The full list of global winners can be viewed at www.cntraveler.com/travel-awards/readers-choice-awards.